In 1987, the “Association for the History of Adult Education Centres” founded the Austrian Archives for Adult Education for the following purpose: The systematic collection of text, image and audiovisual sources pertaining to adult education and the history of adult education centres from the period of the formation of “free” adult education that was independent of the state in the last third of the 19th century up to the present. The Archives’ holdings plus affiliated documentation and specialised library can be used for research within and outside the universities. As the corporate and association archive of the adult education centres in Vienna and of the Association of Austrian Adult Education Centres, the Archives are both an internal repository and external documentation centre. 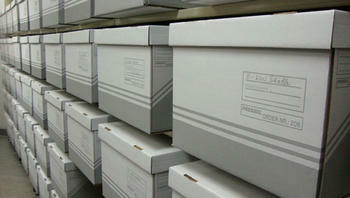 The holdings of the Austrian Archives for Adult Education can be researched via Holdings Search and the Archive Plan.